Opening reception Monday, August 15 from 6:30 p.m. until 9:00 p.m. 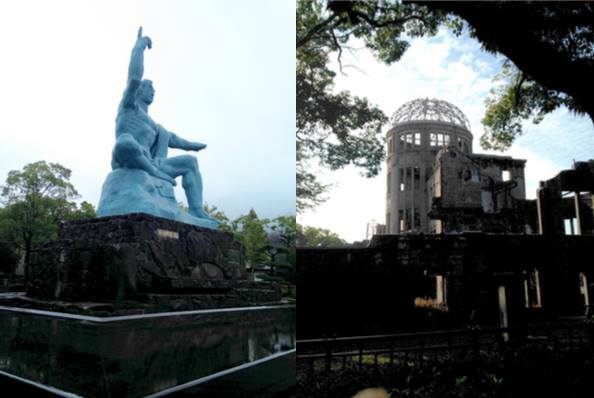 The commemoration of the 71st anniversary of the atomic bombings of Hiroshima and Nagasaki during World War II continues with an art and photography exhibition at JAA Hall. The exhibition will feature works by photographer Francois Bonneau, UN Representative for the NGO Ordre des Chevaliers Hospitaliers de St. Jean de Jerusalem; Niigata-born artist Kunio Suzuki, who specializes in Nihon-ga, the traditional Japanese style of painting; and photographer and artist Cannon Hersey, whose grandfather, Pulitzer Prize-winning writer John Hersey, who interviewed survivors of the atomic bombing of Hiroshima in 1945. Buddhist Council of New York, Interfaith Center of New York, Origami Therapy Association, and NY Battenkai (Nagasaki) are the co-sponsors of the exhibition.